$30.00 /BAG (40 lb Bag) Contact us for pricing and quantity discounts. Local pickup and direct shipping anywhere in the USA. Black Polished Pebbles feature a dark charcoal black tone, and all the character of natural beach pebbles. These fine polished quartzite pebbles are available in 3 sizes to suite a variety of landscaping projects. Use to create wandering paths, to keep weeds at bay around trees, and to accent landscape features including fountains and water features. 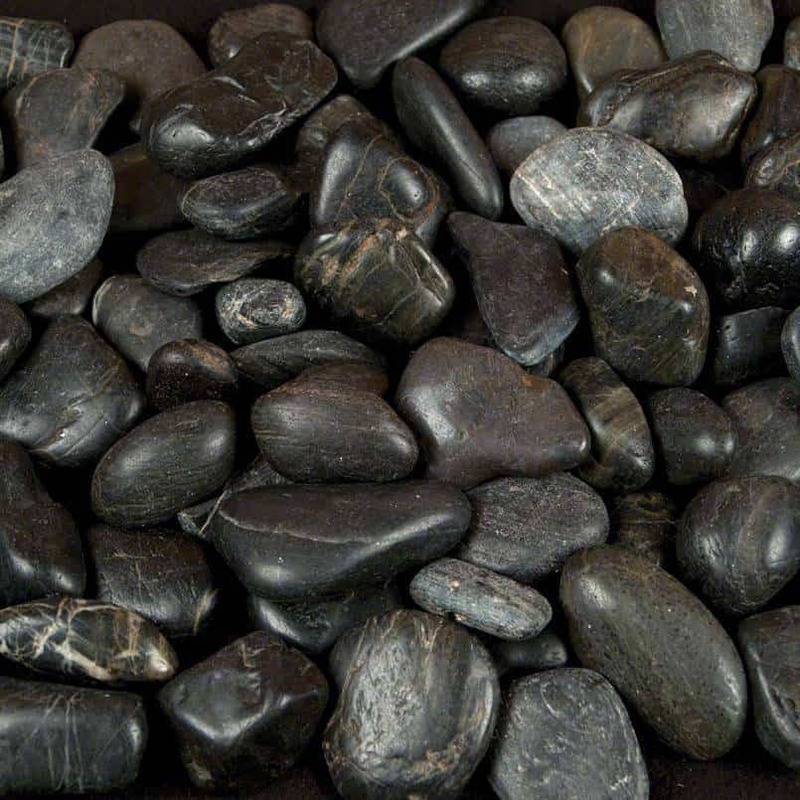 These beautiful smooth black pebbles are hand-sorted and picked from the beaches of Mexico.